The team, led by Professor Mark Pallen, Professor of Microbial Genomics at Warwick Medical School, working with Helen Donoghue at University College London and collaborators in Birmingham and Budapest, sought to use the technique to identify TB DNA in a historical specimen. The term ‘metagenomics’ is used to describe the open-ended sequencing of DNA from samples without the need for culture or target-specific amplification or enrichment. This approach avoids the complex and unreliable workflows associated with culture of bacteria or amplification of DNA and draws on the remarkable throughput and ease of use of modern sequencing approaches. The sample came from a Hungarian woman, Terézia Hausmann, who died aged 28 on 25 December 1797. Her mummified remains were recovered from a crypt in the town of Vác, Hungary. When the crypt was opened in 1994, it was found to contain the naturally mummified bodies of 242 people. Molecular analyses of the chest sample in a previous study confirmed the diagnosis of tuberculosis and hinted that TB DNA was extremely well preserved in her body. 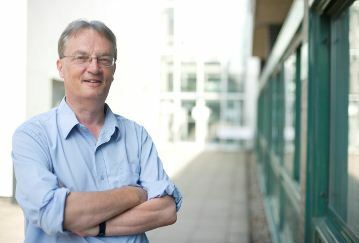 Professor Pallen explained the importance of the breakthrough, “Most other attempts to recover DNA sequences from historical or ancient samples have suffered from the risk of contamination, because they rely on amplification of DNA in the laboratory, plus they have required onerous optimisation of target-specific assays. The beauty of metagenomics is that it provides a simple but highly informative, assumption-free, one-size-fits-all approach that works in a wide variety of contexts. A few months ago we showed that metagenomics allowed us to identify an E. coli outbreak strains from faecal samples and a few weeks ago a similar approach was shown by another group to deliver a leprosy genome from historical material”. The research, published this week in the New England Journal of Medicine, showed that Terézia Hausmann suffered from a mixed infection with two different strains of the TB bacterium. This information, combined with work on contemporary tuberculosis, highlights the significance of mixed-strain infections, particularly when tuberculosis is highly prevalent. To arrange interviews with author Mark J. Pallen, M.A., M.D., Ph.D., email m.pallen@warwick.ac.uk.